Well, it seems quiet and peaceful. No news in the last couple of weeks. Nothing of that! 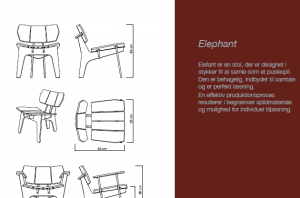 Mediodesign’s catalogues are now available in german, danish and english. Price lists have been sent to many retailers and architects that we met in Cologne. Calls have been made, with positive results. Samples of Mediodesign’s collection have been sent to Milan, to one important potential client. Conversations and deals have been initiated. And at the website of Mediodesign, people are starting to request quotes, information and products. Almost like: “I want my elephant chair please”. Interesting. On the other end, Berlin, mister González is doing the finishing touches of his work at Huttenpalast. He’s almost fully booked until june, so get a number for the second half of the year if you want Büro Internacional to design and furnish your shop. Quiet? Maybe, but really busy!